The Fourth Amendment to the United States Constitution grants you a constitutional right to be free from unreasonable searches and seizures by the government. To protect this right, the United States Supreme Court has issued a long line of decisions requiring the police to comply with certain formalities and procedures when conducting traffic stops and arrests. These formalities include possessing sufficient “probable cause” to make an arrest, reading you your Miranda rights before a police interrogation, and searching the vehicle only for evidence of the crime for which you were arrested. If the police illegally obtained evidence by failing to follow any one of these constitutional guarantees, your defense attorney can ask the judge to have that evidence excluded and the chances of winning your case will increase significantly. This request can be made through your attorney by making a motion to suppress evidence pursuant to California Penal Code section 1538.5. Did you sell, furnish, administer, give away, transport or import a controlled substance in California? If you did not sell, furnish, administer, give away, transport or import a controlled substance into California you cannot be convicted under California Health and Safety Code section 11352(a) HS. Many times when the police find illegal narcotics in an area where many people have joint access, the wrong person is charged with this offense. In addition, the information that the police have obtained regarding your involvement in the sale or transportation of a controlled substance can sometimes be false or misleading. It is also possible that although you possessed an illegal substance, you did not intend to sell or transport it but rather possessed it for you own personal use. Your attorney can help conduct an independent investigation of the facts and show the jury why you should not be convicted of this offense. In most criminal cases you are not required to prove anything as a defendant. However, in order to assert this defense YOU must prove each of these elements by a preponderance of the evidence. In other words, you must prove that it is more likely than not that each of the 3 listed facts is true. Were you unaware that you were transporting a controlled substance? The prosecution must prove that you knew of the nature or character of the drug as a controlled substance. If you had no knowledge of the presence of the drug in your possession or you thought that it was something else entirely and not a controlled substance, you cannot be convicted under California Health and Safety Code section 11352(a) HS. Your attorney can argue that you lacked the requisite knowledge of the nature, character or presence of the drug and therefore cannot be found guilty of transportation or sale of a controlled substance. For example: You are a commercial truck driver engaged in the transportation of freight cargo. You make a stop and pick up a shipment of what you are led to believe are crates filled with computer parts. As you make your way across California, you stop at the nearest weigh station and an officer approaches your vehicle. The officer asks to look inside the back of your truck and you give him permission to do so. A quick search of the cargo reveals that you have actually been hauling crates filled with bricks of heroin. Although you were technically engaged in the transportation of an illegal narcotic, you were not aware of the presence of this controlled substance and therefore cannot be convicted of this offense. Entrapment occurs when a police officer coerces, entices or lures an otherwise innocent person into committing a crime he or she would not normally commit. Entrapment is a defense to the transportation or sale of a controlled substance under California Health and Safety code section 11352 HS. However, you must show that the officer’s conduct was so coercive that a reasonable person would not have refused to engage in the prohibited activity. This is a high standard to meet and mere offers or suggestions by the officer will likely not rise to the level of conduct necessary to assert this defense. However if the officer’s conduct caused you to engage in the transportation or sale of a controlled substance, and a reasonable person would not have engaged in this activity absent the officer’s coercive behavior, your attorney can argue that entrapment has occurred and therefore you should not be convicted of this offense. For example: You are walking down the street and man approaches you, sticks a gun in your face, and tells you to deliver a package full of cocaine to a nearby address. Not wanting to get shot, you comply with the man’s request and deliver the package. Unbeknownst to you, the man was an undercover police officer and the police place you under arrest for transporting a controlled substance. Although technically you transported a controlled substance, you were also the victim of entrapment because a reasonable person would have engaged in the same activity under the same set of circumstances. If you have been charged with transportation or sale of a controlled substance and are looking for a talented criminal defense lawyer to represent you, Wallin & Klarich can help. With over 30 years of experience and offices in Orange County, Los Angeles, San Diego, Riverside, San Bernardino, Ventura, Victorville and West Covina. 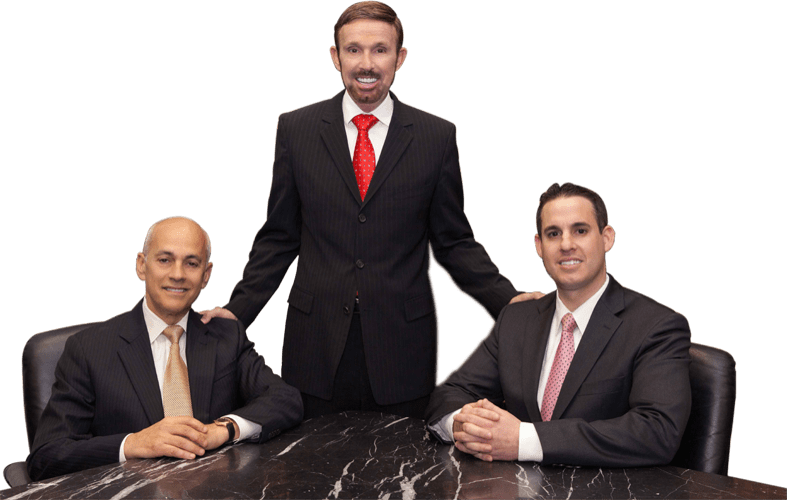 Our highly skilled and professional defense attorneys will conduct a thorough investigation of the facts and passionately argue that your case should be dismissed.